Has it ever occurred to you that you start feeling more than normal pressure on your eyes and it increases to a limit where your eyes start hurting? Well, that is a proper disease called Ocular Hypertension and this disease, if not treated on time can cause permanent vision loss. It is an undeniable fact that eyes are the most sensitive part of our body and a little damage to its blood vessels can lead you to bigger problems and one simply cannot live a life without vision loss or vision issues. Today in this article we are going to focus on Ocular Hypertension, its causes, its symptoms and its treatment too. So, if you are someone who feels like he or she is having some unnecessary pressure on the eyes then read this article carefully because it might save you from a big loss. Ocular Hypertension is basically a state where you feel pressure in your eyes that is more than normal and with pressure, you also start feeling severe pain in your eyes. 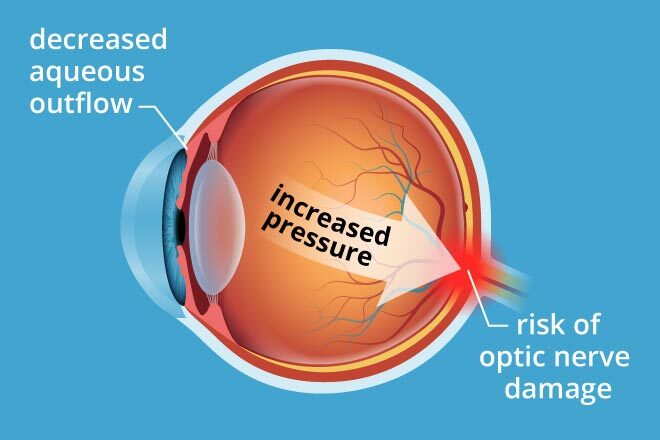 The high pressure if increases to an extreme point, it can cause glaucoma and permanent vision loss too. There are no specific symptoms or signs that indicate the issue, however, your eye doctor can take a comprehensive exam of your eye and measure your IOP. After measuring he can compare it with the normal IOP levels, an eye pressure that is 21 mm Hg or more indicated Ocular Hypertension. The pressure exerts a force on the interior of your eye and it can easily damage your optic nerve. What Are The Causes Of Ocular Hypertension? If your eye gets injured internally, it affects the production of aqueous and drainage from the eye, this ultimately leads to ocular hypertension. It is basically a fluid that is produced by the ciliary body that is the structure behind the Iris. 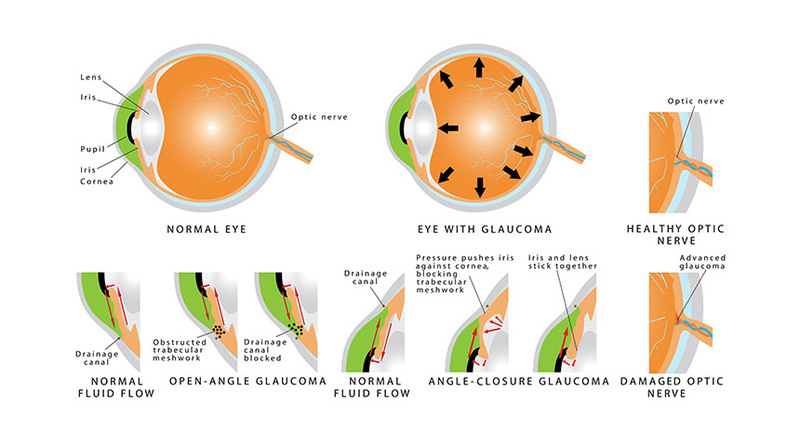 If the ciliary body starts producing a large amount of aqueous then it ultimately starts putting pressure on the eye which causes ocular hypertension. 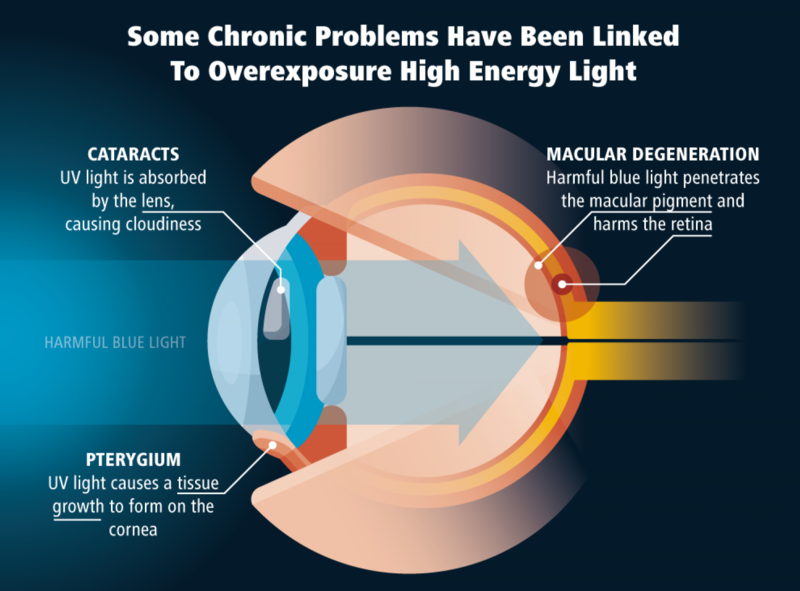 Yes, you read it right, too much exposure of bright light can damage your eyes severely and there might not be a way back to fix it. In most of the cases, people who use too many laptops or phone screens, they start falling victim to ocular hypertension which then leads them to several other visions traumas. You should go to the doctor as soon as possible once you feel like you’ve got pressure on your eyes and above everything, you should first make sure that your eyes are protected from the bright light of your screens. Do whatever you can in order to avoid the blue light from destroying the retina of your eye because it is a fact that sometimes the eye problems increase to such an extent that there is no turning back. If you are someone who has to do all the job and the work on laptops and computers then you can download software like Iris that can ease it all for you. Iris is the one software that is the answer to all your visual problems. This software helps in optimizing the brightness of your screens according to the light around you. Also, it helps in improving your naps as you are exposed to the light of the screen that is not at all harmful to your vision. With Iris, you can protect your eyes and live a healthy life.